George Kamoti, 16, from Bumayoka in Bududa District has begun preparations for the traditional circumcision (Imbalu) for the 2018 season due in August. As part of preparations, Kamoti has visited his uncles in Bubiita Sub-county and now attends Isonja (local dance) every evening at the traditional courtyard and burial ceremonies to dance. 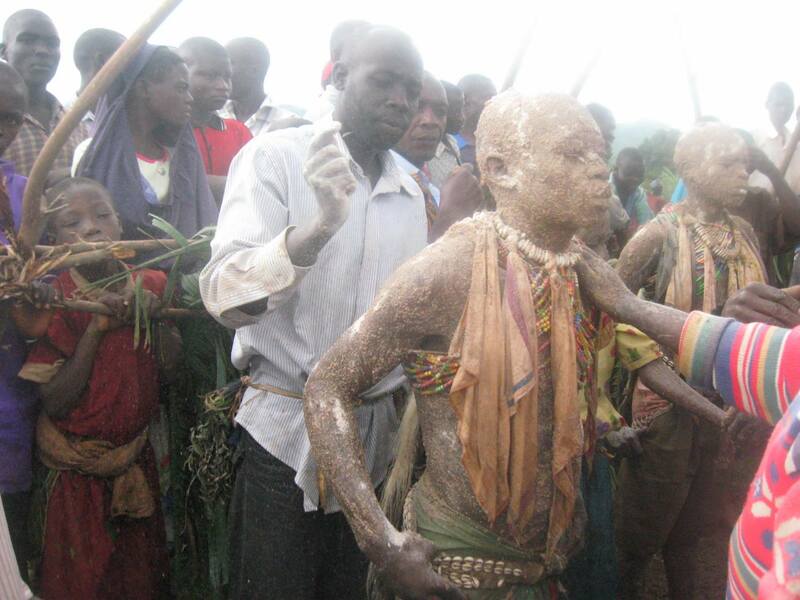 Amongst the Bamasaaba, also called Bagisu, an ethnic group living at the slopes of Mt Elgon, this is normally a time of excitement, a time when relatives staying far are expected back home to witness how the boys would be transformed into men like it is believed here. 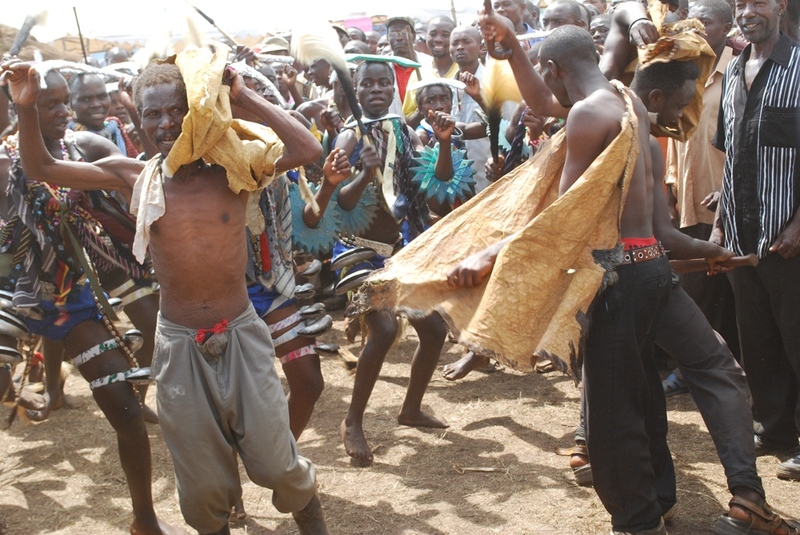 On January 1,blowing of horns announced the arrival of the annual circumcision ritual that marks the initiation of boys into manhood, bringing a festive atmosphere in the Elgon sub-region: Music blares, the dance engrosses, food is in plenty and the beer flows. But now a visit to Bugisu sub-region [Bulambuli, Sironko, Mbale, Manafwa, Bududa and Namisindwa districts] shows that even when there was blowing of horns, many traditionalists, who are supposed to be preparing the royal regalia for the 2018 Imbalu, are now busy looking for school fees for their children and tilling land to cater for their families. Steven Wakoko, 57, from Bududa who has a child to circumcise this year says he has opted for Safe Male Circumcision at Bududa District Referral Hospital. Dancers perform the Imballu-dance in preparation for the circumcision. “The traditional circumcision is expensive because boys have to dance for not less than five days, people who accompany them must eat, you are expected to brew Malwa, [a local gin] and besides the circumciser must be paid, all these mean you have to part with a lot of money,” said Mr Wakoko, a teacher at Nanyere Primary school. He explained that it all about circumcision and anybody can do it irrespective of the manner he has done it and that there was need to work for the families. Mr Wakoko is not alone, there are many parents who are planning to either take their children to hospitals for SMC or circumcise them without involving in the usual rituals to cut costs. Mr Bob Mushikori, the Umukukha, [ traditional leader] of Bamasaba for Inzu Ya Masaba [Bamasaaba cultural institution], says the boys circumcised out of the traditional ritual or in hospitals are treated like uncircumcised men from other tribes. Reports indicate that in the past, the Bamasaaba tradition did not allow young men to be circumcised in hospitals because it is a belief that a true Mumasaaba man should undergo Imbalu before his relatives, friends and other visitors. This showed that the candidate is a genuine son who will later be allowed to inherit land and other properties. The former information minister in Inzu Ya Masaaba and now LCV chairman for Manafwa District, Mr John Musira says education, poverty, modern medical circumcision and other problems in homes have made people change their approach to circumcision, adding that they now view it as an ordinary thing. Mr Nathan Nandala Mafabi, the Budadiri West MP says that as scholars they have found out that weak culture, intermarriage, Christianity, migration and the level of literacy are the major social factors influencing the changing pattern of Bamasaba circumcision ceremony. “The trends are changing due to globalisation; there is generally high cost of living, high unemployment rate, high costs of education and inadequate resources which compel people to change their thinking towards culture. And these social factors are the ones influencing the changing pattern of Bamasaba circumcision tradition,” said Mr Nandala. Mr Namangala Mwambu, a veteran lawyer and advocate of Mwambu and Mwambu & Co lawyers based in Mbale says some scholars believe evolution is to blame for the changing patterns of Imbalu. “Imbalu culture and other customs are facing extinction as a result of the evolutionary process of globalisation. There is need to rethink our culture and customs, protect them from extinction such that our children, grandchildren and other generations will know and appreciate where we came from,” says Mr Namangala Mwambu. Traditional dancers lead Imballu candidates in Isonja, a traditional dance for candidates who intend to get circumcised . These are some of the cultures and costumes facing extinction. A surgeon at Mbale Regional Referral Hospital, Dr Peter Wakalyembe, says on many occasions, the traditional surgeons use one unsterilised knife to circumcise as many candidates as possible and without gloves. Dr Wakalyembe adds that failure to wash hands puts the candidates at risk of not only septic wounds but also transmission of new infections and reveals that that there are many such cases in the villages. “This makes traditional circumcision unhygienic and expensive in terms of treatment. We admit cases at the hospital due to this traditional circumcision and there was a time one boy had his urethra destroyed and he could not urinate so we had to improvise a tube for him,” Dr Wakalyembe says. 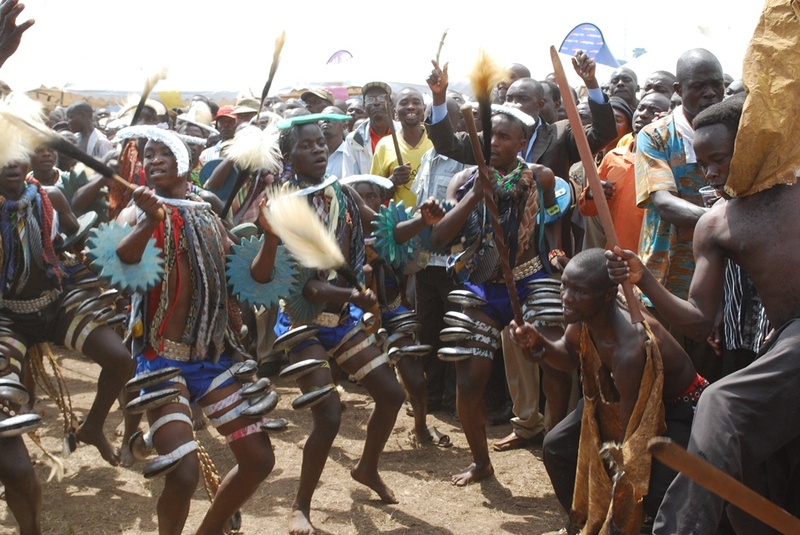 Mr Augustine Wandende, the cultural board chairman of Imbalu in the Inzu Ya Masaba, reveals that although the desire to be circumcised among the Bagisu is believed to be spiritually inspired, usually there is an internal preparation to pay off the Imbalu debt required of every Mugisu [Mumasaaba] boy. He said in the past, Bamasaaba women were taught to secretly report their uncircumcised husbands to elders to be circumcised forcefully but that this is no longer the case. A contemporary example is one of UPC strongman Stephen Mujoloto, who had hidden for many years in Kampala but was later circumcised forcibly in Kampala and the former MP for Bugisu Mr Patrick Maduku [DP], incidents that made news.